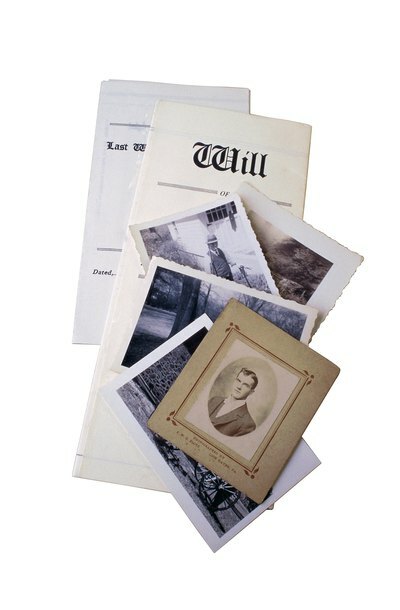 A will is your tool to direct the distribution of your assets after you die. Though some states limit your ability to completely disinherit close relatives, such as a spouse, you may generally leave your property to anyone you choose. You may also name secondary beneficiaries who would inherit if your primary beneficiaries die before you. For example, you could name your spouse as your primary beneficiary and your friend as your secondary beneficiary; if your wife died before you, your entire estate would go to your friend. If all of the beneficiaries listed in your will die before you, your estate will pass according to your state’s intestate succession laws. Intestate succession laws, which vary from state to state, direct the distribution of your assets if you die without a will. Generally, state laws provide that your estate will pass first to your spouse, though some states limit your spouse’s share if you have children from a prior relationship. If you have no surviving spouse, your children will likely be next in line to inherit, followed by your parents, siblings and then the children of siblings. If none of these relatives survives, some state laws may permit your grandparents and their descendants or other next of kin, such as aunts, uncles and cousins, to inherit your assets. Each state’s rules vary on where this list of relatives terminates. After you die, the court in your state that administers probate cases appoints a personal representative for your estate, sometimes called an executor or administrator of the estate. The court issues to this personal representative documents, or letters testamentary, which grant the authority to act on behalf of the estate, including gathering assets, paying last debts and expenses, and distributing the remainder of your estate to the beneficiaries. One of the personal representative’s responsibilities is to identify and locate the estate’s heirs. If your personal representative is a close friend or relative, this may be an easy task; otherwise, he may have to hire expert researchers to find your heirs. If you die without a will or you leave a will but no named beneficiaries survive you, state law usually directs that the estate's assets be given to extended family members. But it is possible for someone to die leaving no one who qualifies to inherit either under the will or under intestate succession, depending where the list of "family" is cut off by state law. In such cases, the assets of the estate will be given to the state. This is known as the doctrine of escheat. For example, Ohio law directs the relevant county’s prosecuting attorney to collect the decedent's estate and turn it over to the county treasurer for use in the county’s school system.